The foreclosure crisis that has plagued the U.S. housing market for more than six years seems to be wrapping up, with the number of completed foreclosures and potential foreclosures declining. There were 49,000 completed foreclosures in July 2013, down from a 65,000 the previous July, CoreLogic, Inc., a provider of residential real estate data, reported August 29, 2013. The 49,000 completed U.S. foreclosures represented a 25 percent decline from the previous year and an 8.6 percent decline from June. There were 53,000 foreclosures in June 2013, down from an originally reported 55,000. CoreLogic, Inc. defines a completed foreclosure as a home that has either been seized by the lender or sold at auction. The laws governing foreclosures vary from state to state. Prior to the housing market's downturn, there were, on average, 21,000 foreclosures per month between 2000 and 2006. Since 2008, there have been about 4.5 million foreclosures. There were about 949,000 homes in some stage of foreclosure in July, down from 1.4 million homes a year ago. That foreclosure inventory represented 2.4 percent of all mortgaged homes, down from 3.4 percent in July 2012. The foreclosure inventory represents the number and share of mortgaged homes that have been placed into the process of foreclosure by the mortgage servicer. Mortgage servicers start the foreclosure process when the mortgage reaches a specific level of serious delinquency, as dictated by the terms of the mortgage loan. 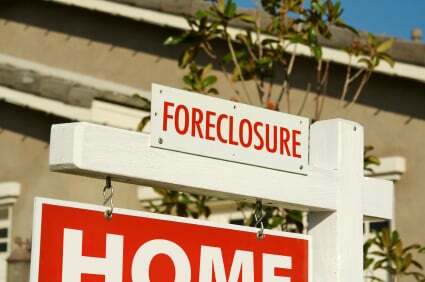 Massachusetts foreclosure petitions – the first step in the foreclosure process in the Bay State – declined 84 percent in June 2013 to 254 from 1,548 foreclosure petitions in June 2012. The following are highlights from the CoreLogic report. The five states with the highest number of completed foreclosures for the 12 months ending in July 2013 were Florida (110,000),California (65,000), Michigan (61,000), Texas (45,000) and Georgia (41,000). These five states account for almost half of all completed foreclosures nationally. The five states with the lowest number of completed foreclosures for the 12 months ending in July 2013 were the District of Columbia (141), North Dakota (484), West Virginia (505), Hawaii (512) and Maine (754). The five states with the highest foreclosure inventory as a percentage of all mortgaged homes were Florida (8.1 percent), New Jersey (5.9 percent), New York (4.7 percent), Connecticut (4.0 percent) and Maine (4.0 percent). The five states with the lowest foreclosure inventory as a percentage of all mortgaged homes were Wyoming (0.4 percent), Alaska (0.6 percent), North Dakota (0.7 percent), Nebraska (0.7 percent) and Colorado (0.8 percent).